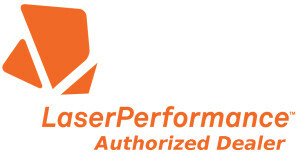 Great New Price as of September 1, 2015 – Only $2,380! Trainer rig with furling Dacron sail. Performance rig with Mylar sail and pre-bent top mast. 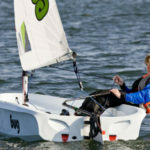 Extremely competent performance dinghy with windsurfer-like agility and quickness. 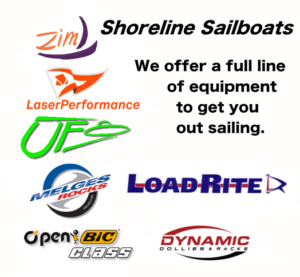 Exceptional sailboat design by Jo Richards, especially for those looking to enhance their sailing skills and eventually compete. 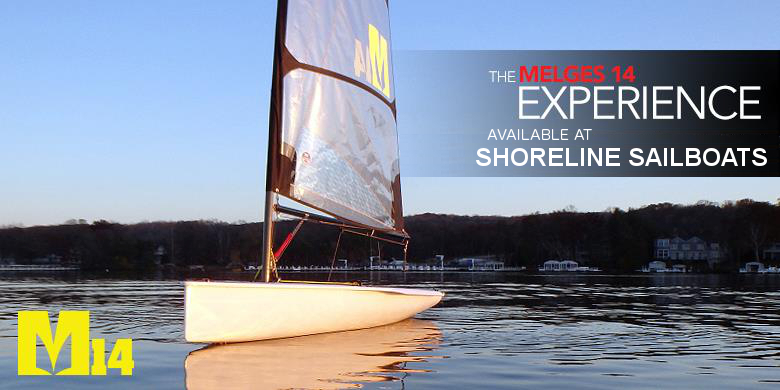 Stable and durable triple-layer polyethylene hull that does not compromise performance. Extendable aluminum carry handles slide from transom drain ports (optional upgrade). Optional integrated wheel makes the Bug a breeze to maneuver around the boat park. The Bug comes with everything you need to go sailing the day you buy it. That said, we do offer several optional upgrades to help make your Bug even better. 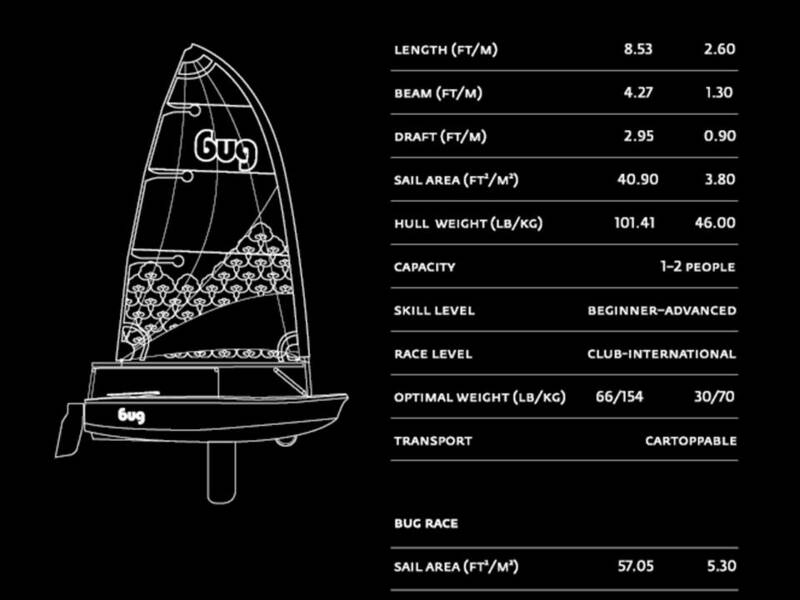 The Bug has two alternatives – the Standard rig (41 ft²/3.8 m²) and the Race rig (56 ft²/5.3 m²). The difference is in the top mast section and the sail – the Race version has a unique power curve topmast. 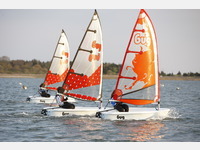 The Bug has six different sail designs to choose from, four for the Standard boat made of Dacron and two for the Race version made of Laminate Mylar. If you need to get there a little faster, we offer a 2-3 horsepower engine motor mount for the Bug. The bow wheel can be mounted into the hull and two small tube-style handles that slide smoothly from the transom. With the wheel installed, the Bug can be easily rolled around the boat park. These optional upgrades have been designed specifically for the Bug; they are aerodynamic and easy to install. Optional oars come apart and tuck neatly into the Bug’s front inspection port. To protect your Bug we offer both a top and bottom cover specifically designed to fit snugly around the hull. Extendable aluminum carry handles slide from transom drain ports. The Bug has a light blue hull. 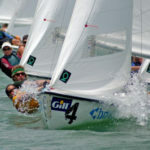 The standard sail is available in Yellow Zest and Red Craze; the race sail is available in Lotus and Blaze.